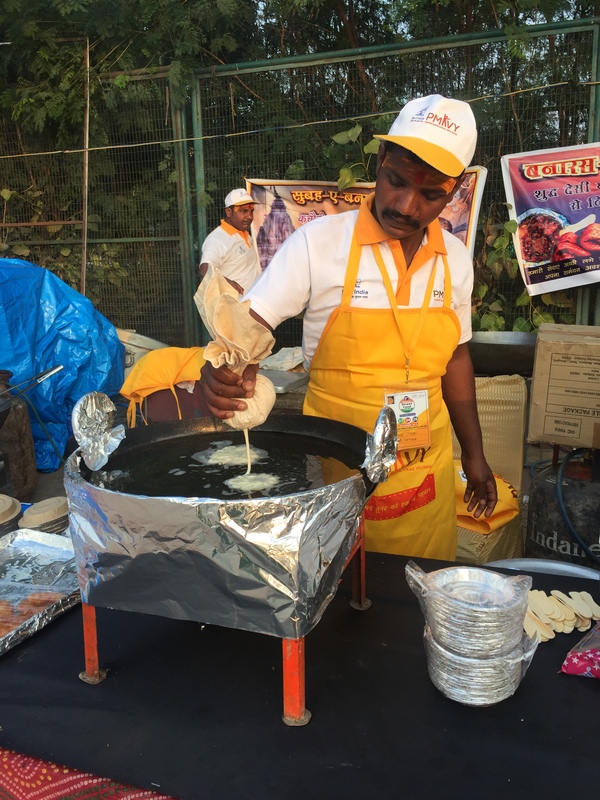 Krishnan and I love street food – yes, we take precautions to eat in places that are hygienic and the food is prepared using good ingredients, but truly nothing beats the taste of street food ! 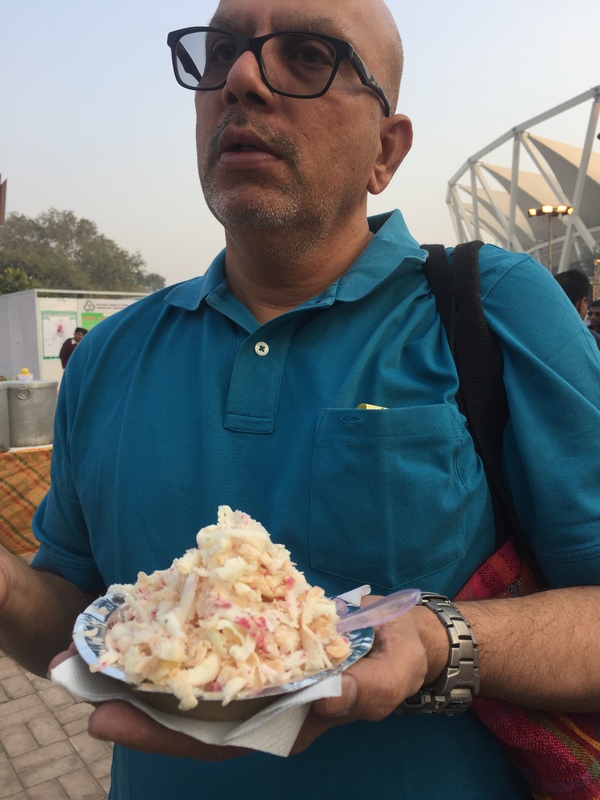 Whether its the Bhelpuri in Pune and Mumbai or the Dabeli at our favourite haunt in Vashi, or the bread Pakora of Kamla Nagar or the paranthas at paranthe wali gali, Chandni Chowk or Vada Pav on the streets of Mumbai, or the roller ice cream of Chandni Chowk or the dhoklas at Ahmedabad or the Momos at McLeodganj or the “Sidu” in Kullu, or the aloo tikki at Lajpat Nagar or the mirchi vada of Jodhpur or the mirchi bhajji of Hyderabad…. I haven’t even started on the street foods of TamilNadu, Andhra, UP, Telangana and West Bengal and my mouth is watering already :):). 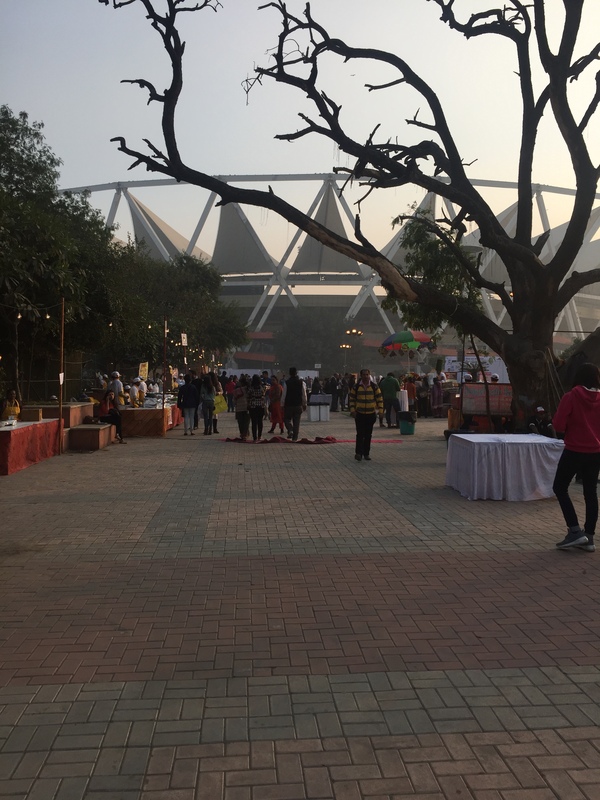 The reason I am suddenly writing about street food is because yesterday we went to the “Street Food Festival” at the Jawaharlal Nehru Stadium. I was browsing through the “bookmyshow” website and saw this event and immediately booked the tickets. 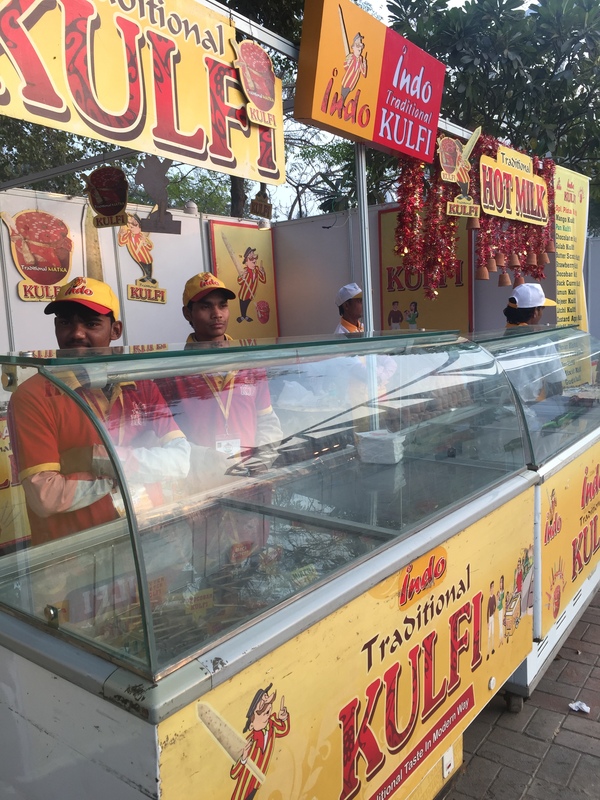 If you like street food this is the place to be – its hygienic and really tasty street food from all over the country. 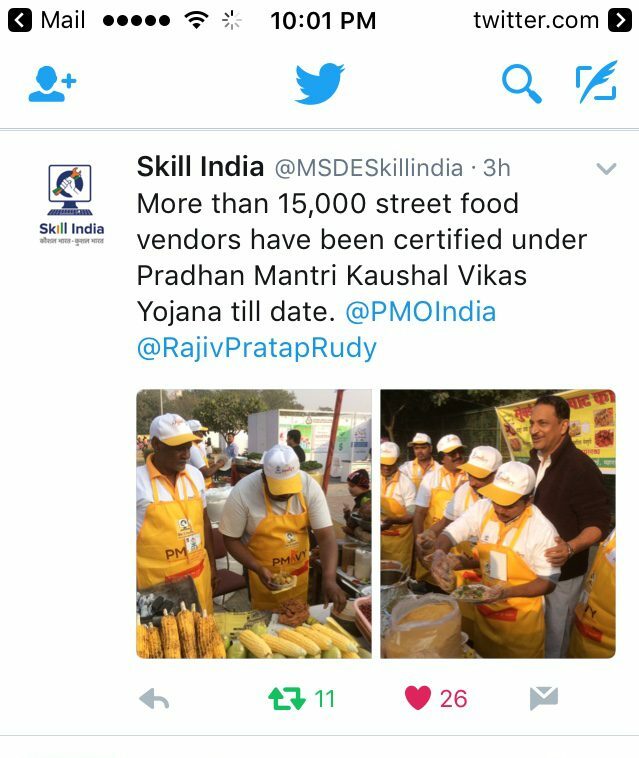 Rajiv Pratap Rudy, the union minister of state for skill development and entrepreneurship was there to inaugurate the event, but we didn’t see him and he didn’t cause any disruption to our eating spree. In the first ten minutes or so we were a little disturbed as every stall carried the sticker saying “e-wallet partner PayTM” but to get the food coupons, there were only cash counters all over the place. 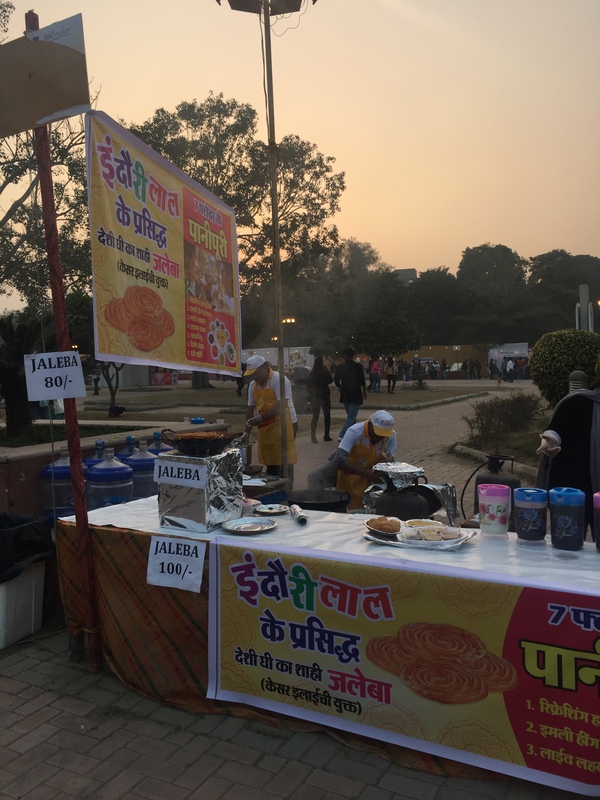 When we enquired about using PayTM to pay for the coupons, neither the stall owners nor the cash counter folks told us where their counter was. 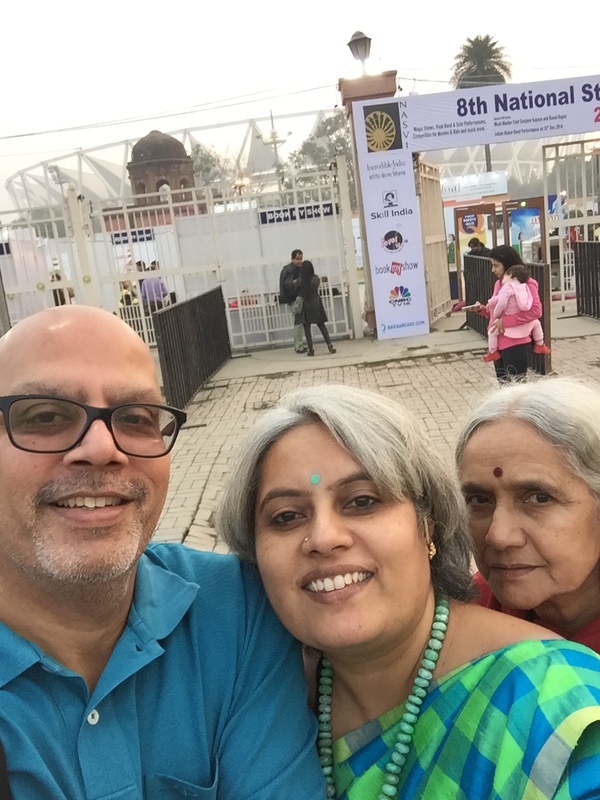 Finally we walked back to the entrance to pick a fight with the organisers and right there we found a series of PayTM counters. So life suddenly got easier. We had just eaten “aloo tikki” and “dabeli” and were really hungry, so we went back and ate some “makki ki roti and sarson ka saag” which is the season’s special, “Chole bhature”, some “aloo bonda” and topped it off with the roller ice cream. 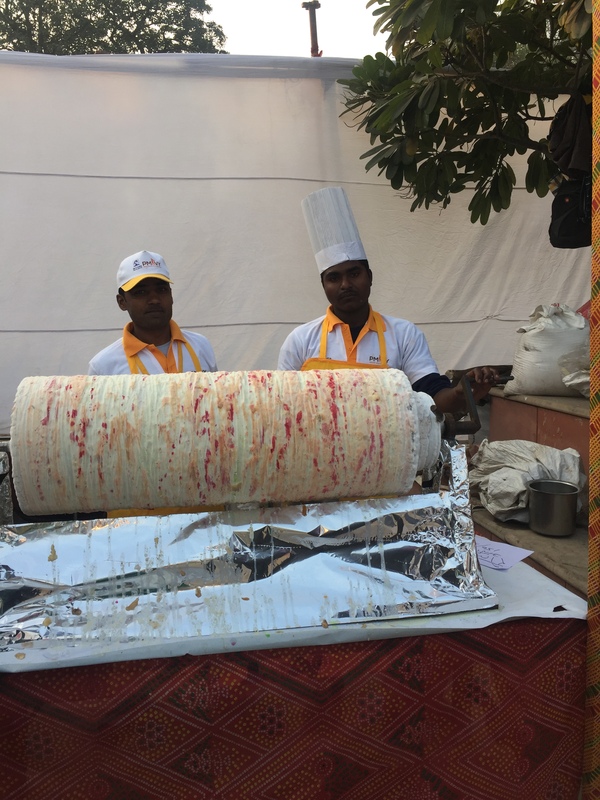 Krishnan of course had a “rose” kulfi too and I ate a varanasi Jalebi. We got some “Mirchi vada” packed and we got a “jaleba” packed. 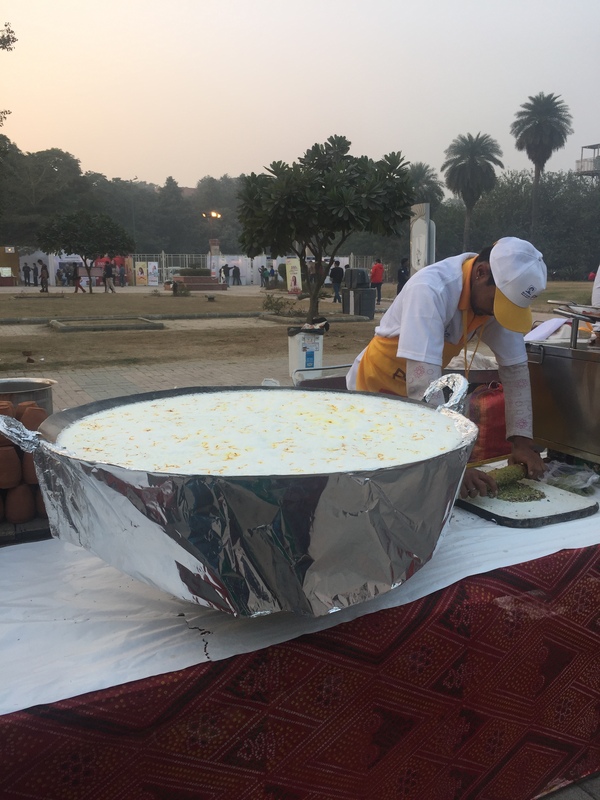 “Jaleba” is a jumbo sized jalebi. The “hot” milk with pista… but the weather is not so cold yet !! The “Jaleba” … I feel like going back, just for this. Masterchef Sanjeev Kapoor was on stage and he apparently visits this festival every year. Indian Ocean was getting ready to perform for the evening. There were several garbage bins all over the place and a team was quickly emptying them out as they were filling up. No plastic bags were being handed out. A few differently abled people were also working at the stalls. Rather than the paper plates and plastic spoons, we could use the leaf plates and the edible spoons. Filtered water to be available rather than the bottled water. Banana leaves to pack food in and small thermocol boxes to carry them in, instead of the layers of silver foil. Sell only local produce – I saw a stall where they were selling “Chia” seeds…. and not our “sabza” seeds which is the local “chia” seeds. Inexpensive and just as effective because they are “chia” seeds – the desi name is “sabza” and remember, we have been using them in “falooda” and “sherbet” for ages. There have to be enough tall tables to keep the food on and eat. Some chairs for older folk to sit and eat. 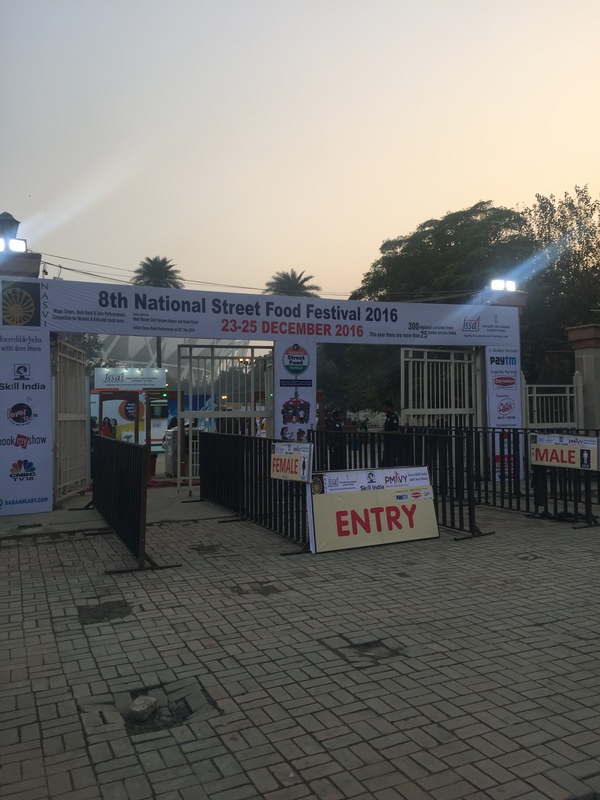 All in all, this is a must visit place for street food lovers… its on for just today and tomorrow, so don’t miss it.